Where does music live? In the heart, certainly, as well as the hands that perform it, but its fast fire catches spark and formation in the founding rooms of intent. Last night in Dalston’s The Victoria, a thriving new music venue just down the road from the exotic sounds to be tasted in Cafe Oto, The Gulps. 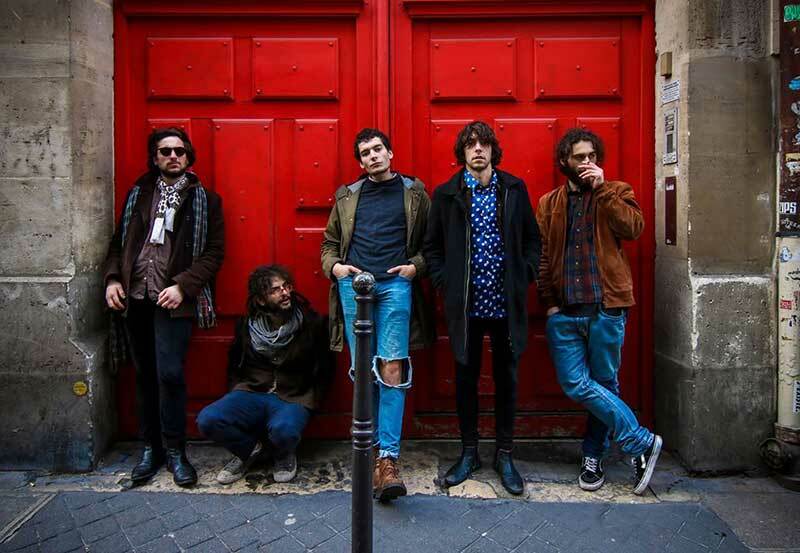 a new London band emerged showing as much fiery attack and confidence for those at the start of their burning as their world famous antecedents in places such as the Ealing Blues Club, Eel Pie Island and a certain Cavern in 1960’s Liverpool. That sainted city gives rise to The Gulps new single My Girl from Liverpool, which formed a glorious centre piece in a blistering 40 minute set. On a showcase night of young artists, The Gulps blew forth with staggering power and authority. Their nine song set was constructed as one long high octane fuelled suite, reminding me of The Who’s glorious A Quick One While He’s Away, and as the half hour song burst eclipsed the faithful attendees in this long and darkened room, I was struck by the swagger and charisma of these performers, veterans of a rock, pop and punk legacy while still only in their early twenties. Of course the giants of pop music’s great reformation in the sixties produced some of their best work at this age. Pete Townshend was of course just 23 when he was writing Tommy while John and Paul had already produced the first, second and third waves of their great flood of innovation before the god like sweep of Sgt Pepper. 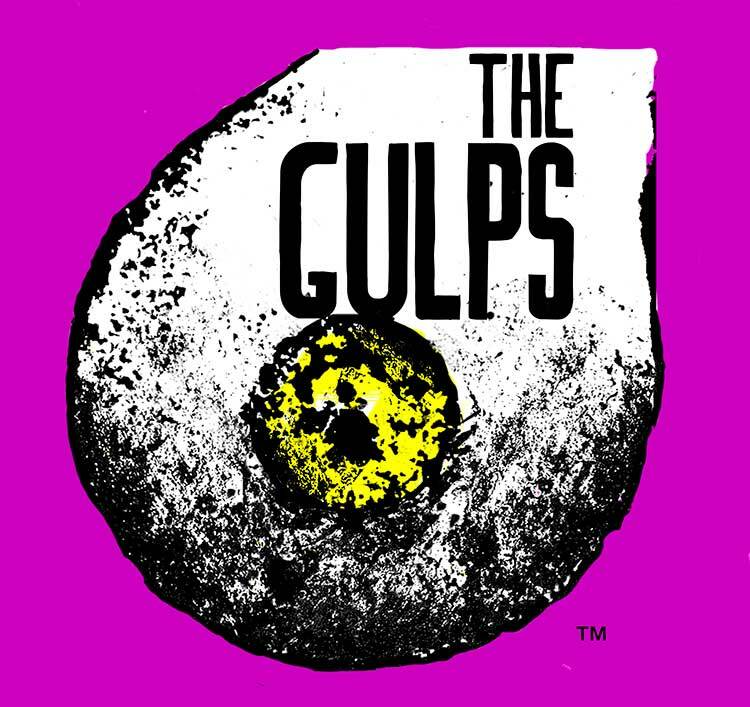 The Gulps, showing this much command at the start of their careers may well show themselves as being able to move towards similar innovations, but for the here and now display a unique and refreshing hold on the heavy rock/power pop template. Their songs hammer down with strong melody and coruscating rhythm. Guitar duellists Charlie Green and Frank Antony formed a dazzling exchange of lead and rhythm as they clashed and tarried, while the soon shirtless rhythm section of Simon Mouchard on bass and drummer Raoul Khayat underlined the persuasive musical argument with impressive understanding and fearsome power. Singer Harry All essayed a wonderful Jagger-esque swagger that not only combined the pre-sword shudders of Sir Mick, but also touched on many of those that followed his loose hipped, jutting template. There is a Gallagher-esque slur and stretch to All’s intonation, which also alludes to John Lennon at his rawest with sounds in the spit that touched of the great Punk triumvirate of Lydon, Idol and Strummer. The songs showed portents of many things to come with Let Me Say That I’m God igniting the room with all of youth’s testament to self belief, while the guitar flashes of Henry Harold and debut single Someone Like You soon ensured the young men bopped and rocked like a muscular sea while the pretty girls ebbed and grooved before them. Lola Cola and Hangover of Flowers evoked the Kinks at their most defiant and the remarkable No Advice was a brilliant statement of intent, as musically and lyrically assured a song as I have heard for some time. King’s House and My World closed the set with a stunning pyre of sound as chords thrashed, drums drove and bass sowed the fabric of night with notes of steel. It was a musical mugging of the most acceptable kind with the listener thrown against the wall and assaulted with the sheen and confidence of seduction but with none of the horror attached. Here was a chance to gulp down and savour the new through breathing in an air of revivification, or laying a full throated kiss onto all that you may or may not find exciting in an attempt to convey true appeal. On an alternative night where all that we knew was re-ordered, the first sparks of music as it must have been experienced at an earlier and more vital time could be felt. The need and drive to make their mark painted the hackneyed shadows around them with a new and vibrant glow of primacy. The Gulps are a band to cling to tightly. They dazzle. Theirs is the fire that will see the average night burning bright. logo– credit to Sandra Crilo. This entry was posted on 11 April, 2018 in homepage and tagged David Erdos, THE GULPS. Bookmark the permalink.